The Australian marketplace has been a difficult one to break into. Unlike NZ, there are literally hundreds of florist websites all competing for a share of the online sales the country consumes each and every month. There seem to be a few big players that make it into the Australia wide arena of sales, these guys get the lion’s share and almost all use an affiliate company to handle their orders. This, of course, has huge advantages as the affiliate company has already created a large range of suitable products to market. The florist members in Australia are given a catalogue of standard styles to reproduce when a client orders online through any site using the program. The way the florists cope with some flowers varieties not being available on the day is by having a fair replacement policy. So in this situation, the flower item ordered is more of a guideline rather that a strict style to be exactly reproduced. Believe me, this works, in all the years of providing this type of service, we have had less that a handful of people not being happy with what turns up. Now this is where using a website that incorporates an affiliate company really comes into its own. That is by way of having the ability to make sure the florist remedies the situation and provide a replacement straight away. The pressure comes from the unspoken rule that says; if you do not perform up to our strict standards and high-quality guidelines, then you the florist will no longer be qualified to be one of our suppliers and your membership will be terminated. This has nothing but positive results for the customer buying flowers due to the fact that all florists want to belong to such a large source of daily orders. Perhaps the smaller local sites may see this as not that fair. I don’t see it that way really, they specialise in producing beautiful flower displays and getting them delivered fresh and looking their best. The affiliate website owners like us, specialise in getting our sites found, whether it be through Google, Bing search engines or Facebook and paid ads. It really is a symbiotic relationship with one specialist feeding another. It really is quite similar to other industries that all do a part of the whole in order to make a system or process work better. A winery makes wine, but different manufacturers make the bottles, cork and labels. But it doesn’t stop there, there is another entity that markets the cases overseas, potentially another that suppliers and services all the shops and supermarkets. You get the point, gone are the days where a small family business can create a product from concept right through to being used or consumed by the end user without passing through many specialists all contributing to the successful outcome the company desired in the first place! Click here to get in touch with our Ozzy website. With a large variety of gifts and floral styles to choose from, you are sure to find what you need and also feel safe due to the points outlined above! As I said in the opening paragraph, we do not have a large share, but we do use the same affiliate company the top ranking sites in Australia use! 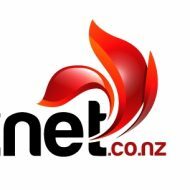 Before I sign off this article, I can add to give credibility to you using our Ozzy site; the fact that we are one of the most successful sites in New Zealand with multiple millions of dollars in sales originating from our websites. this NZ site has since been sold, however you can still access it here for a safe and secure online experience!